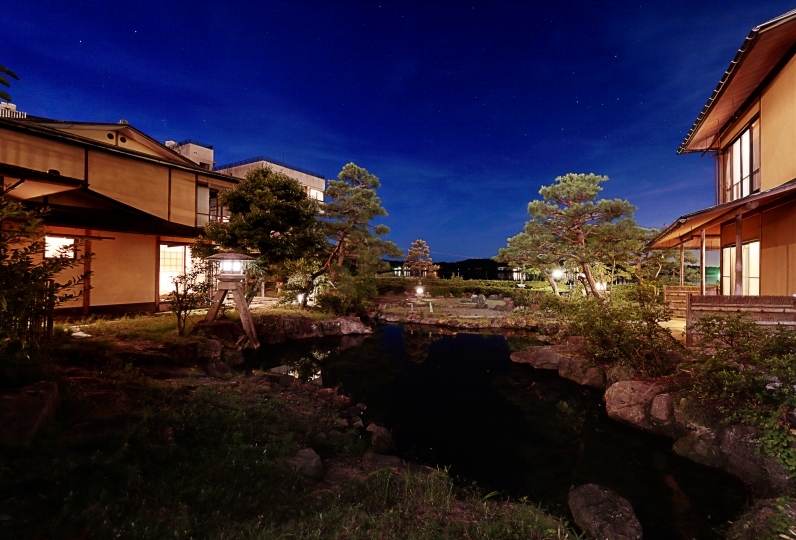 Yamanaka Onsen, a hot spring district of Kaga with a history that goes back 1300 years. Ohanami Kyubei draws water from this famous hot spring that was even loved by the poet Matsuo Basho. 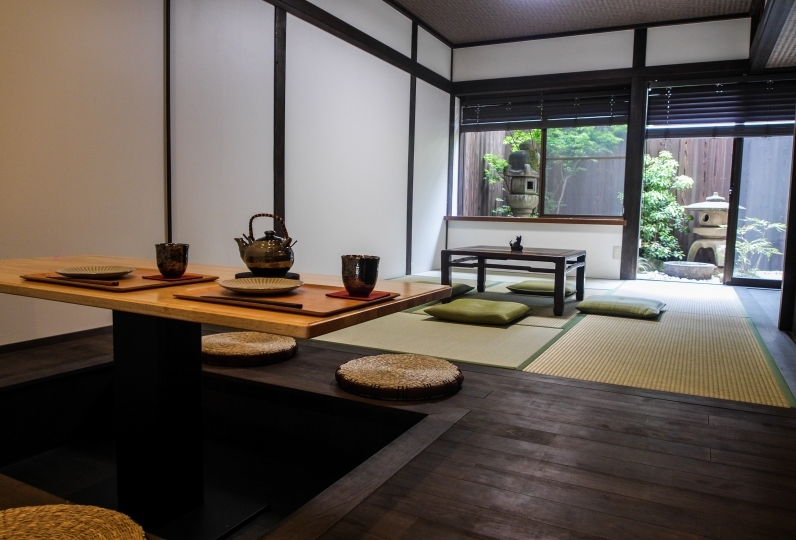 To enjoy the onsen experience, try the House of Open-air Bath first. 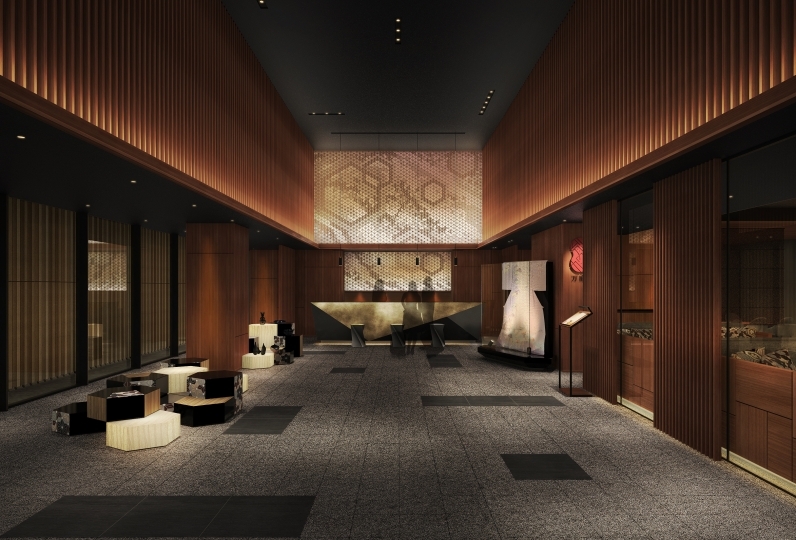 The building that stands at the end of the warmly lit corridor is a luxurious and relaxing space where you can gaze out at the untouched vegetation and the flowing river. For a more special time, make your way to the cozy private bath. 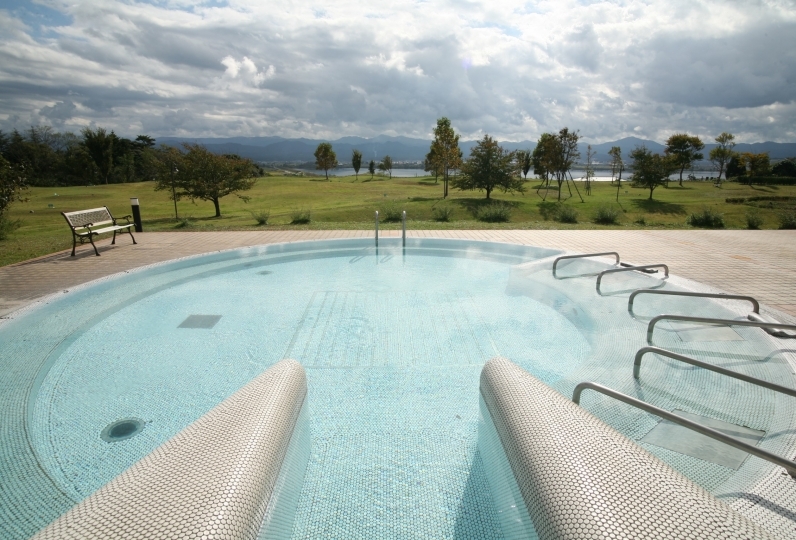 Enjoy soaking in the water from the famous hot spring as you feel your tiredness wash away. 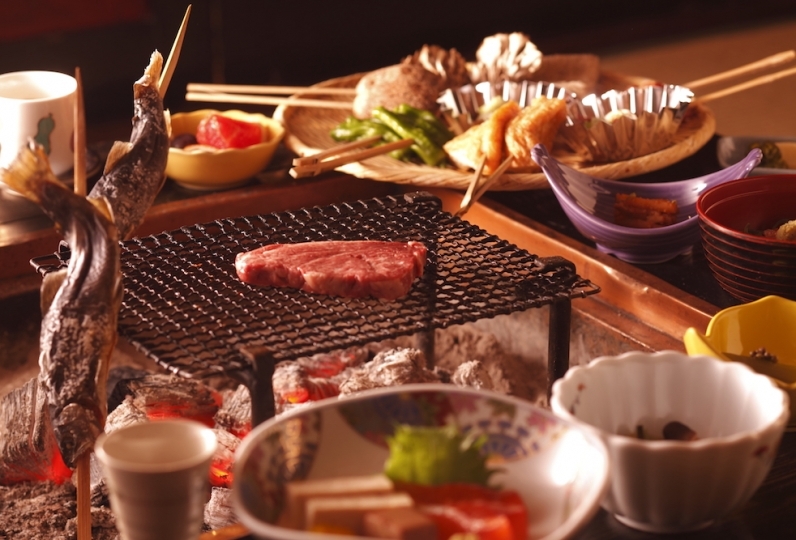 Ohanami Kyubei serves innovative cuisine rooted in the traditional foods of Kaga. 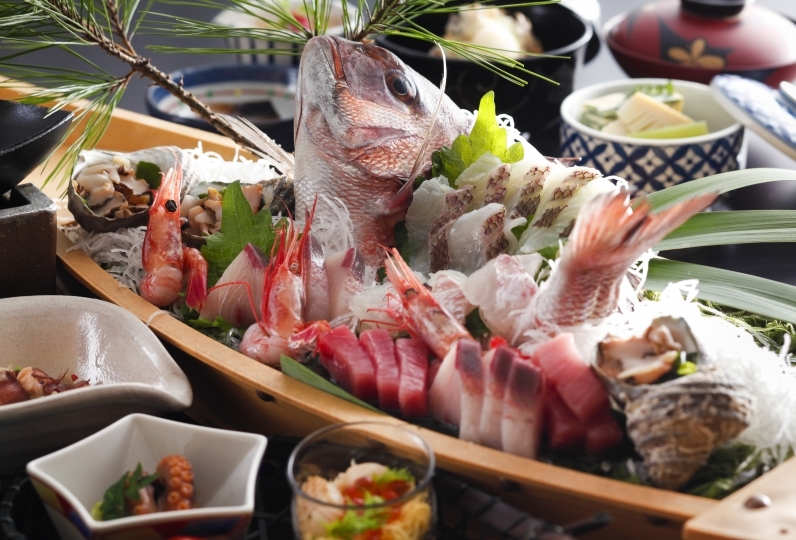 The unique flavors are created from plenty of Kaga vegetables, with traditions of Kaga as the base. Guests can choose to have their meal in the restaurant or in the privacy of their own room, depending on the accommodation package. There are various types of guestrooms to choose from. 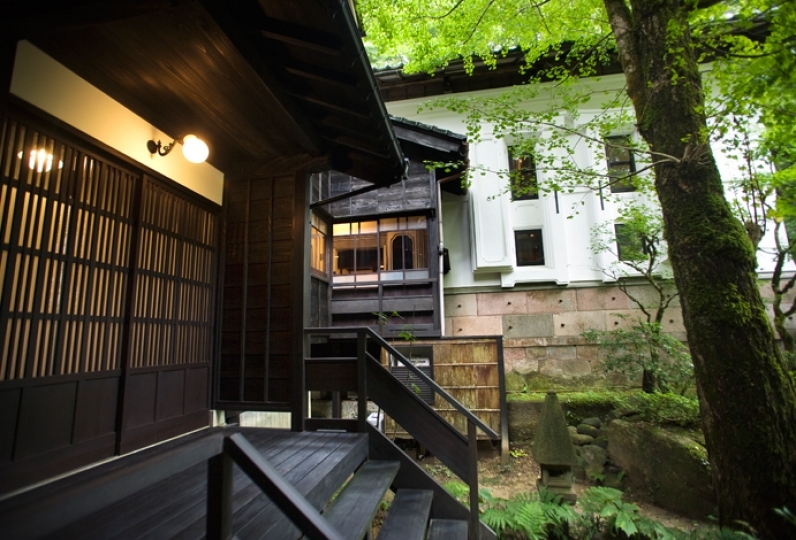 Stay in the Onsen Suite Room with its own open-air bath for an experience that is a cut above the rest. 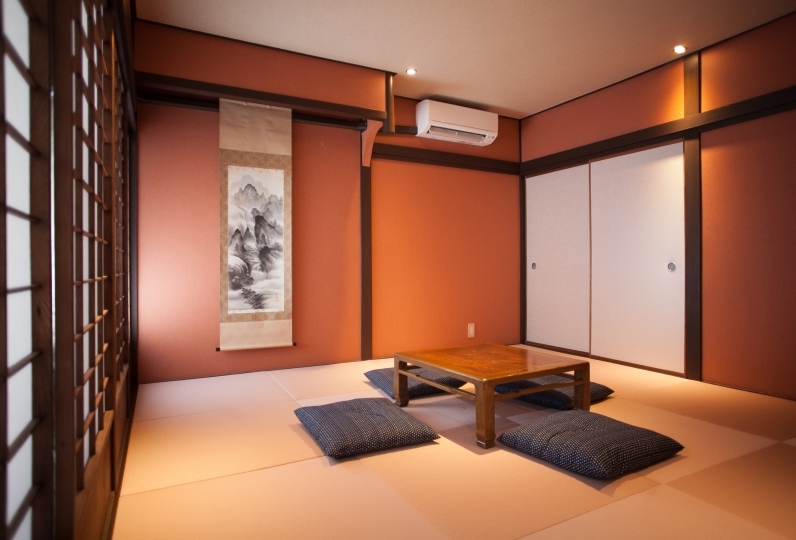 The Japanese-style room located along the mountain stream, on the other hand, offers a relaxing time. Find a room that suits you best. 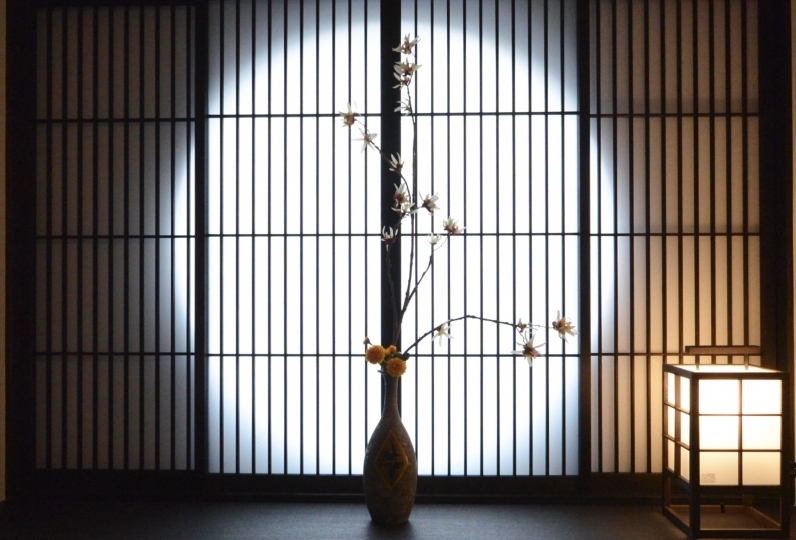 Choose Ohanami Kyubei for a fun-filled stay. The room is old, not as new as the pictures! The food quality is bad as well! We used for celebration of birthday and admission. Thank you for the wonderful cake plate and toys after dinner. Everyone was very open-minded and the children were delighted to have fun. Thank you very much! Correspondence of people of meeting was bad, and there was no excuse saying "Shall we carry luggage, etc.". Both breakfast and dinner were room meals, but the correspondence of those who served was bad, and I was worried that the door of the room was open. I did not see off on my way home. I am very sorry because the cost was not cheap. 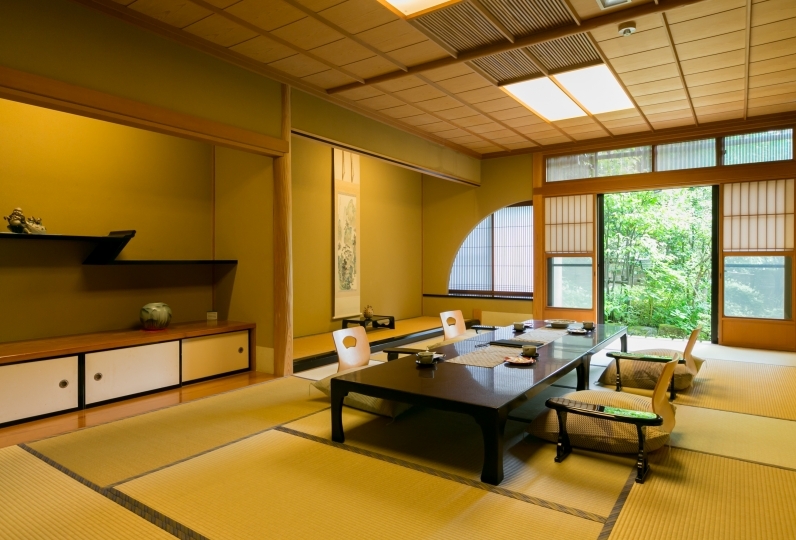 An interior with a fantastic combination of Japanese and Western elements. 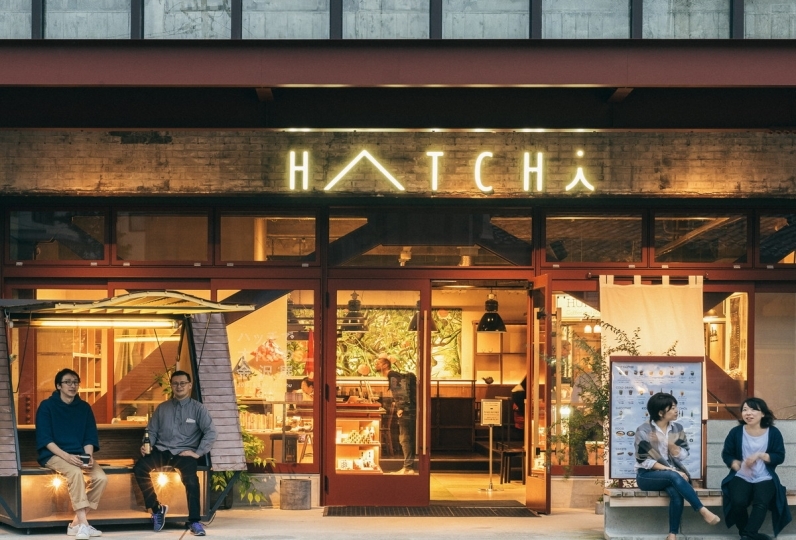 Enjoy your meal in a chic atmosphere. It costs less to dine in the restaurant than it does for in-room service - just another advantage of choosing the restaurant. A Kaga Hot Spring district. 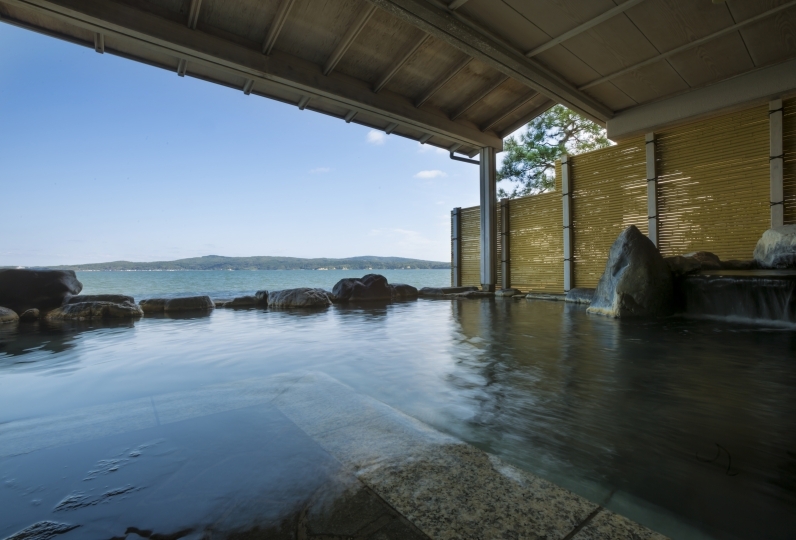 Enjoy the water of Yamanaka Onsen to your heart's content. There is a shuttle service from Kagaonsen Station (approx. 25 minutes). Reservation required.